the tone without the scratch! : camille michelotti on the visual iconography of harry smith’s anthology. In the coming weeks, I will be featuring the digital history audio podcast projects completed by students in the 2016 edition of my Digitizing Folk Music History seminar at Northwestern University. These projects are explorations in how scholarly history might take on new, multimedia forms. In this case, students probed the possibilities and challenges of the audio documentary format for historical interpretation. Collectively, we learned a lot from working on these projects (sometimes as much through how they do not quite work as how they did!). 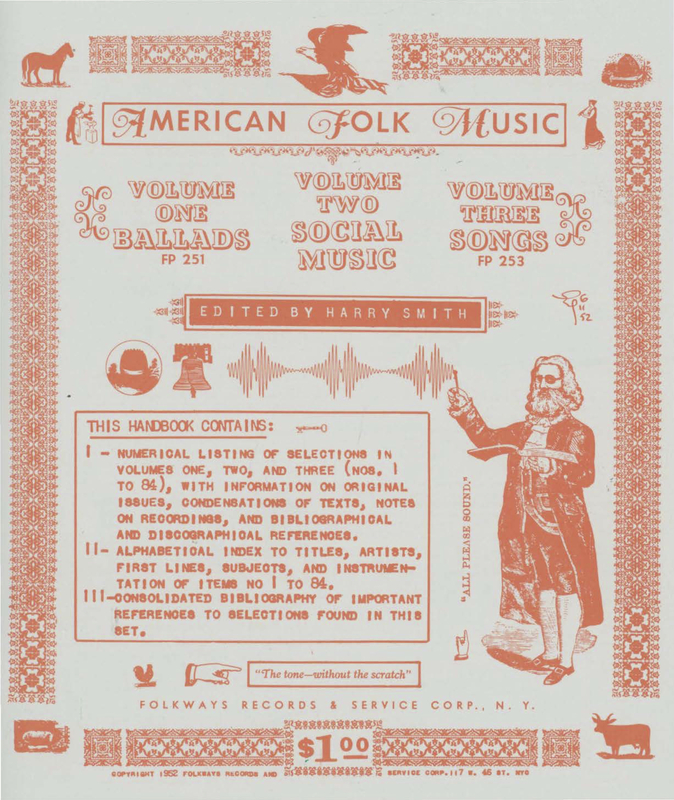 To start things off, here is one project that I think works quite well: Camille Michelotti’s wonderful exploration of the visual iconography of the 1952 Folkways Anthology of American Folk Music compiled by Harry Smith. What I love about the podcast is how Camille transformed the challenge of interpreting visual material in audio form into a way to describe and analyze the famous handbook to the Anthology vividly and compellingly (the only correction here to make is that it was not Smith who chose the Ben Shahn photograph for the reprinting of the Anthology in the 1960s, but Sing Out! editor Irwin Silber). Take a look yourself at the art for the Anthology LPs and handbook, which here includes the original Smith celestial monochord cover and an example of the 1960s reprint with Irwin Silber’s choice of a Ben Shahn WPA photograph instead of Smith’s original artwork.